The Tessa Sanderson Foundation and Academy has a team of experienced sports coaches who have helped youngsters to reach a higher level in life as well as their sporting achievement such as winning county championships and gaining national GB Junior vests. I have been transferring most of my energy to ensure that youngsters facing the same problem that I had so many years ago get the opportunity to achieve their dreams or reach a higher level in sport whilst in education. It is a great challenge but with your help we can succeed. As the founder of the TSFA I am always looking to make new friends and share ideas to help our youngsters and the Foundation to carry on its work. 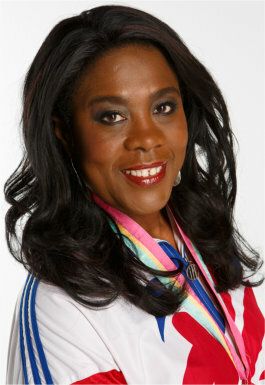 For those reason and more I have set up this idea called “Friends of the Tessa Sanderson Foundation and Academy”. “Friends of the Tessa Sanderson Foundation and Academy” welcomes anyone of any age group who wants to simply be our friend and supporter. To help us meet the challenges ahead, and prepare for a better, healthy, vibrant and more positive future for any youngster who we can find and help through sport and activity. I have spent 40 years being involved in sport working with charities, schools, local communities, disabled young and old mostly the underprivileged with some wonderful experiences that can never be replaced. Nowadays I recognise that finding sponsorship is a hard task for many. However, if holding a fund-raising event through your organisation, a corporate activity day with me and my coaches, attending a sporting gala dinner, championship event or being part of our activities appeals to you, please fill out our contact form with your thoughts or choose one of the enquiry options. I now need you to work with me and become “Friend’s of the Tessa Sanderson Foundation and Academy” and together we can certainly make more dreams come alive for the youngsters of today.